You might have noticed that this week's Xbox One event was very... Western. Microsoft's snazzy entertainment functions are all designed for American televisions. The games—FIFA, Call of Duty, Quantum Break—were all made by Western developers. Other than a two-second appearance by Metal Gear Solid creator Hideo Kojima, there wasn't much for fans of Japanese games to get excited about. 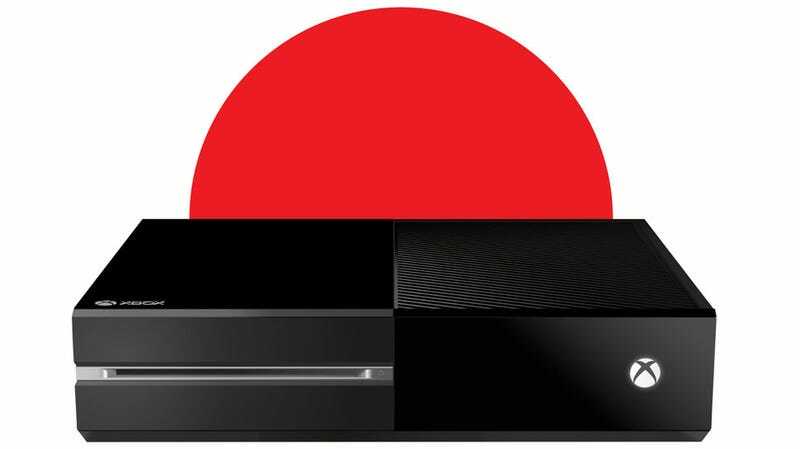 Microsoft has traditionally failed to sell Xboxes in Japan, so it could be safe to conclude that the publisher isn't all that interested in Eastern products. So we asked Microsoft vice president Phil Harrison: where are the Japanese games? He wasn't super-specific, but we can infer from his answer that we'll see more at E3. Stephen Totilo: I know this was not a gaming-centric event, but it did feel very America-centric. While I saw Hideo Kojima in the beginning, there really was no presence from Japanese publishers or developers. You guys have said the system is coming out worldwide at the same time. Can you say anything about global support, or at least Japanese game development for this? Harrison: If that was your take-out, that was not intentional. You will see at E3 games from four continents—three, well, yeah, three and a big continent. You will see, throughout the rest of the year, between now and launch, a number of occasions where we will tell a more local story that is customized and more regionalized, but this, by necessity, had to be a more global message. Since we were doing it here in America, a lot of the TV was Americanized. We also asked a Microsoft representative if the console will be region-locked—that is, if each system will only play games compatible with its specific region. Today's consoles are almost all region-locked. Here's hoping we'll see something compelling at Microsoft's press conference in a couple of weeks. Lost Odyssey 2 would be lovely.